Last September, the Andy Warhol Foundation for the Visual Arts announced it would auction off a chunk of its trove at Christie’s to benefit its endowment. The other big change at the Warhol Foundation in 2012 was the dissolution of its authentication board, which was becoming overly expensive due to constant lawsuits. Both changes were motivated by the Warhol Foundation’s desire to further its mission and increase its grantmaking activities. Everyone, except Jose Mugrabi, wins! How did Andre Leon Talley being cute go for so low?! 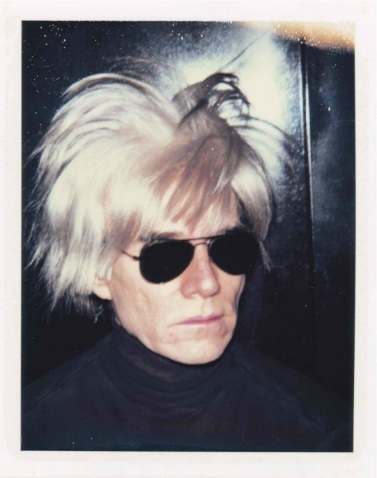 The 62 lots of Polaroids in Christie’s Warhol photography auction did well and brought in a total of $978,125. 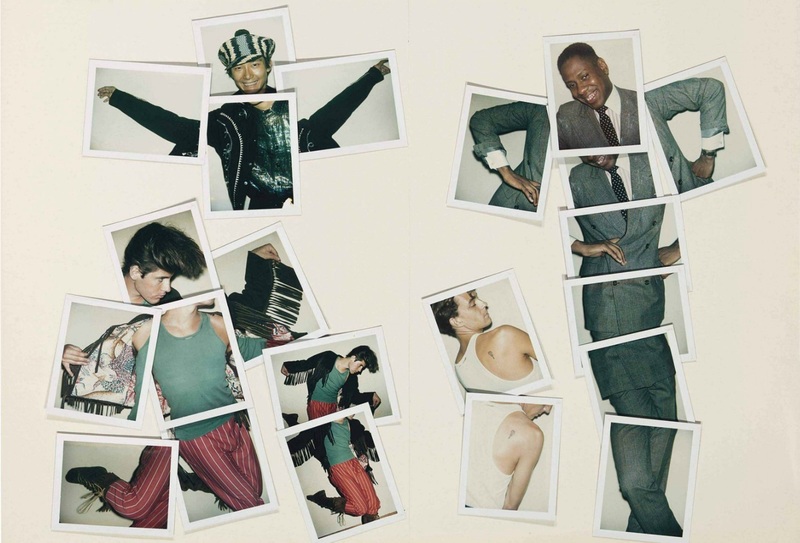 Two Polaroids, one of Gilbert and one of George (of Gilbert & George), were sold as a single lot, and two Polaroid collage compositions were also sold as single lots. 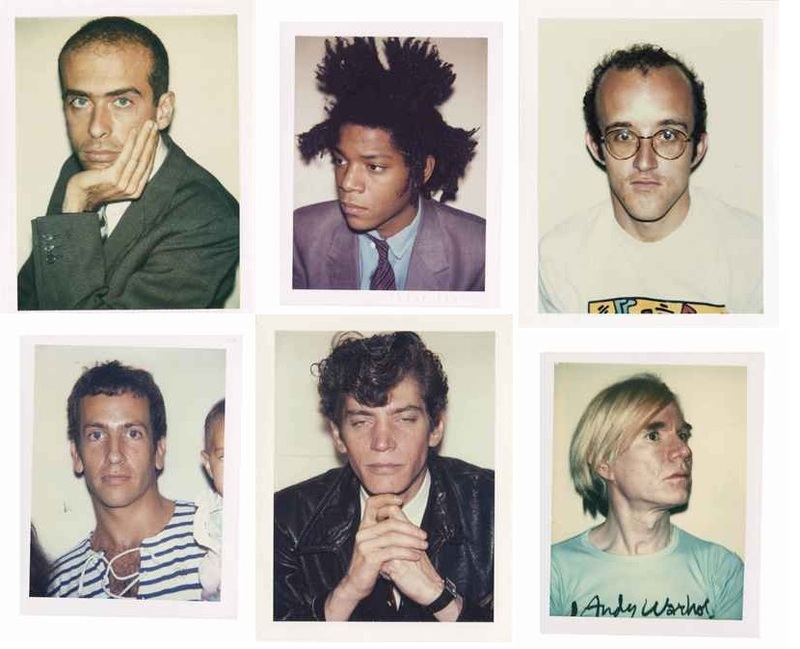 Eight Polaroids were candid shots, some of Warhol grinning with celebrities. There were also 15 Polaroids of inanimate objects. 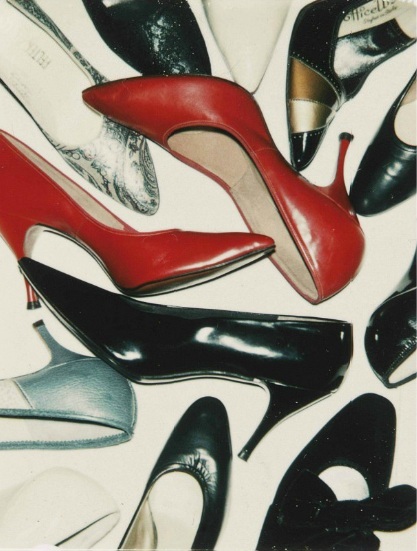 One of these, Shoes (c. 1980), was the twelfth highest Polaroid lot, at $23,750. The remaining 37 Polaroid lots in the Christie’s auction featured single, close-up, staged portraits of celebrities. These are the kinds of Polaroids Warhol used as the basis for the silkscreen portraits he churned out of the factory during the 1970s and 80s. All of these Polaroids came from the same narrow period of about a decade. All share the same provenance (all have Estate and Foundation stamps). All were sold at the same time, and in the same sale. The sale at Christie’s offers an opportunity to analyze a segment of Warhol’s oeuvre and Warhol’s market. It all can be analyzed from a single factor of subject matter, which can then be utilized as a diagnostic to approximate the relative worth of Warhol portraits in other mediums based on the subject of the portrait. How many out of these six ladies are divas—depends on your definition of a diva. Basquiat is helping this team’s average; Kenny Scharf is not. People in fashion are worth less than musician, and actors are twice as pricey as them. It’s nice to know artists are pretty expensive, but shoes are still more costly than most portraits, regardless of the cause de célèbre. 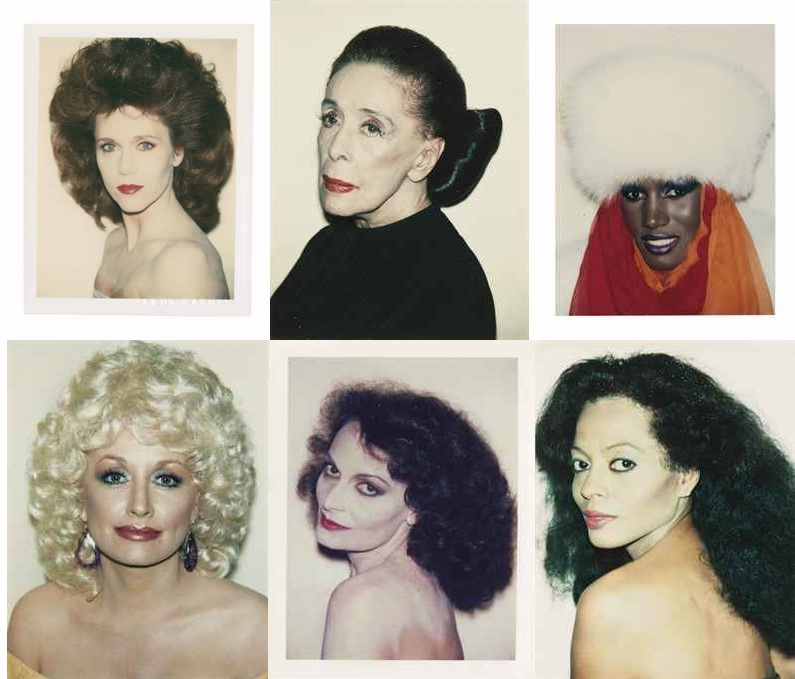 Only eight of the Polaroid portraits went for below their low estimates, five of which were portraits of women: Paloma Picasso, Martha Graham, Bianca Jagger, Carly Simons and Pia Zadora. Again, is there anything to be inferred from this about the comparative value of Warhol’s women? On the positive side of things, 22 Polaroids went for above their high estimates. Six Polaroid portraits went for more than double their high estimates: Debbie Harry ($25,000), Dennis Hopper ($30,000), Arnold Schwarzenegger ($32,500), Jean-Michel Basquiat ($37,500), Self Portrait ($43,750) and Self Portrait in Fright Wig ($50,000). Of these 37 Polaroid portraits, 22 realized prices above $10,000 and ten realized prices of $25,000 or greater. Not too shabby for some ‘roids of old celebrities. The top ten Polaroid portraits illustrate more possible reasons for realized prices, but also bring up more questions. The top ten includes two portraits of women: Farrah Fawcett and Debbie Harry. Three people in the top ten had more personal connections to Warhol: Debbie Harry, Dennis Hopper, and Jean-Michel Basquiat. I can rationalize Muhammad Ali’s high standing because he is generally regarded to be the greatest athlete of all time. Arnold Schwarzenegger is harder for me to comprehend—maybe he bought it himself, maybe someone is really into muscles. Arnold Schwarzenegger realized the same price as the two Self Portraits in Drag. Is there any secret relevance in this factoid? I’ll let you answer that. Apparently Polaroid selfies of Warhol out of drag are more prized then the ones of him in drag. But a selfie in a fright wig is bank. Can you imagine what Warhol’s selfies would look like on instagram?